Ukraine is in the process of refurbishing and upgrading its MiG-29 "Fulcrum" fleet to a 4+-﻿generation multi-purpose aircraft in two phases, known as MiG-29MU1 and MiG-29MU2. In August 2018, two more MiG-29MU1 aircraft were delivered to the Ukrainian Air Force (UAF), which currently fields eight MiG-29MU1s based at the Vasilkiv AFB. The MiG-29MU2 is expected to roll out in 2019, with serial production of the MU2 modification planned to begin in 2020. The Lviv State Aircraft Repair Plant (LSARP) has already begun work on a third phase of modernization, the MiG-29MU3. As prime contractor LSARP was tasked with upgrading the MiG-29. Support is provided by Rockwell Collins based on a strategic cooperation agreement concluded last October in Kiev. LSARP coordinates the work of other Ukrainian contractors participating in the MiG-29MU1/MU2 program, such as Orizon-Navigatsiya (DPO-N), Novator, Fazotron-Ukraina, Arsenal, Laser Technic Design Bureau, Elektroprilad, AVIARM, Avia-Radio Service and SDO Tecon-Electron. The principal features of the first MiG-29MU1 upgrade are ta receiver integrated with the SN-3307 satellite navigation system to improve navigation and instrument landing, and a more powerful N019-19 radar capable of detecting targets over a longer distance. Ukrainian company Radionix also supplies an Omut electronic defense system that comprises a radar warning/reconnaissance sub-system, an updatable threat database with prioritization, as well as an electronic countermeasures system with a high probability of suppressing enemy threats. Two versions of Omut have been devised: one installed internally and one in a self-contained pod. Based on the MiG-29MU1, the MiG-29MU2 adds several new systems, including an upgraded 20PM weapons-management system, further upgrade of the R-862 radio system, replacement of the A-323 RSBN navigation system, and the MSD-2000 databus. One of the main features of the MiG-29MU2 is its enhanced capability to strike ground targets. Earlier MiG-29s were capable only of hitting ground targets with unguided rockets and onboard cannon. Kh-29T electro-optical/TV-guided missiles (called the "Russian Maverick” due to many similar features) and EO/TV guided KAB-500KR bombs are being integrated onto the MU2 version. The upgrade of MiG-29s is proceeding in parallel with the refurbishment of other types. 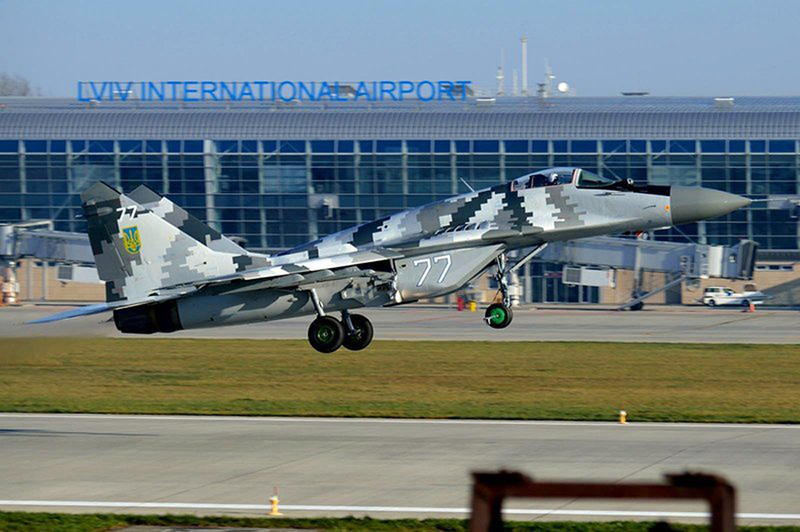 Colonel-General Serhiy Drozdov, commander-in-chief of the Ukrainian Air Force, announced on August 5 that the UAF will receive around 30 refurbished and modernized fixed-wing aircraft (MiG-29, Su-25, and Su-27) this year from the companies of UkrOboronProm (UOP), an association comprising the country’s defense industry. As another highlight of the Ukrainian military aircraft upgrade program, the Odessa Aircraft Repair Plant, together with other Ukrainian companies, is conducting a modernization of the Su-24MR "Fencer-E" tactical reconnaissance aircraft. Drozdov added that some land-based support equipment, such as the P-18 radar, will be fielded with modifications, as well as the 79K6 Pelikan digitalized 3D land-based mobile radar station that undertook its first field trials in 2016. A Pelikan system (a product of NVK Iskra) was handed over to the UAF in June 2018 in the presence of President Petro Poroshenko.